Seven sick Palestinian prisoners held in Israel’s Ashkelon prison decided to join a mass open-ended hunger strike that began Monday in Israeli prisons, the Palestinian Committee of Prisoners’ Affairs said Tuesday. Committee lawyer Karim Ajwah, who visited the prisoners Tuesday morning, identified the seven as Said Musallam, Othman Abu Khurj, Ibrahim Abu Mustafa, Yasser Abu Turk, Nazih Othman, Ayman Sharabati, and Abd al-Majid Mahdi. The lawyer highlighted that the Israeli Prison Service (IPS) had already taken punitive measures against the sick prisoners who joined the hunger strike, including confiscating their electronic devices, clothes, and sheets. This comes in addition to a number of other punitive measures taken against the estimated 1,500 prisoners who had already undertaken the hunger strike. Central to the long list of demands put forward by Marwan Barghouthi, the leader of what has come to be known as the Freedom and Dignity strike, are a number of demands related to lack of adequate health care in Israeli prisons, as well as what rights groups have branded a deliberate policy of medical neglect of Palestinian prisoners. Hunger strikers are calling on IPS to shut down the Ramla prison clinic for not providing adequate treatment, to terminate Israel’s policy of deliberate medical negligence, carry out periodic medical examinations, perform surgeries to a high medical standard, allow specialized physicians from outside the IPS to treat prisoners, release all sick detainees – especially those who have disabilities and incurable diseases – and not hold prisoners accountable for expenses incurred for medical treatment. 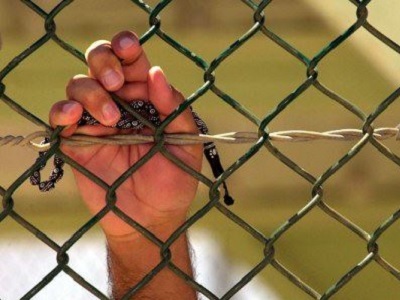 There are over 700 sick prisoners among a total of 6,440 Palestinians in Israeli custody, including 21 held in the Ramla prison clinic, according to prisoners rights group Addameer. In 2016, there were also a number of severely wounded Palestinian prisoners. 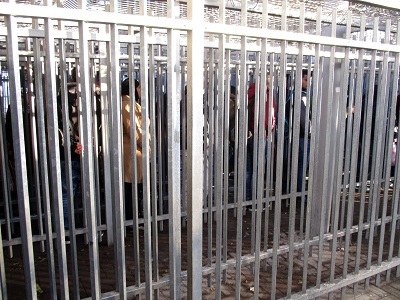 However, contrary to the demands seeking basic medical treatment for prisoners, Israeli authorities have instead established a field hospital for Palestinian prisoners, raising alarm that hunger strikers, who will likely face deteriorating health conditions in coming days, will be force fed en masse – violating international standards of medical ethics and international law that regard the practice as inhumane or even a form of torture. Israeli doctors in civilian hospitals have so far refused to force feed hunger strikers, despite the Israeli Supreme Court’s recent decision that ruled the practice to be constitutional.